When the Serie A schedule was announced, this fixture looked like a bit of a reprieve after the Torino and Napoli matches. It’s being played at home, and was also coming after the international break, so it was hoped that players would be rested and healthy and we would have had more time to train together. But leave it to Milan to make things more difficult. With players injured, suspended, and coming back from international duty, facing Udinese definitely does not look like much of a reprieve after all. Leave it to us to keep doing things the hard way. Why guarantee our starting 11 when you can misbehave and have a one game time out? 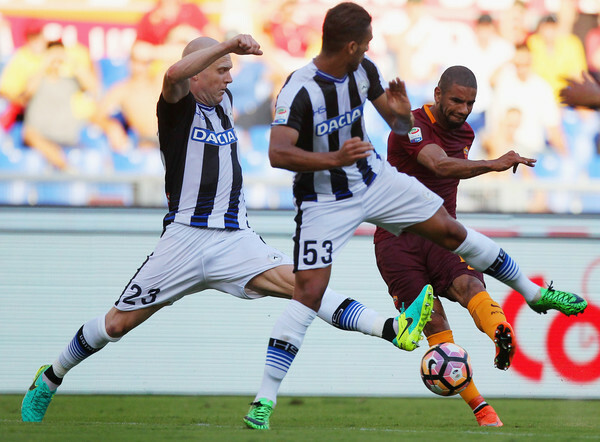 Udinese started their season with a 4-0 pummeling from Roma. However, they bounced back vs. Empoli with a convincing 2-0 win. For that win, Iachini lined up Karnezis, Felipe, Danilo, Samir, Widmer, De Paul, Fofana, Evangelista, Hallfredsson, Badu, and Duvan Zapata. Despite being the travelling team this time, they may be more rested, with a number of players returning from injury. Iachini will still be missing Heurtax, Faraoni, and Wagué. Milan, on the other hand, in the spirit of making things difficult for ourselves, will be missing Niang and Kucka to suspension. Our new player, Mati Fernandez, played all of ten minutes over the break and got himself a lovely muscle lesion that could see him out for a month. And we are still missing our Zapata to injury, as well as Poli and Bertolacci. Additionally, Bacca is only just returning from international duty, so his fitness for this match will need to be assessed. With every midfield purchase this summer (or purchase of any player at all,) fans have hoped that one of them would displace Montolivo. 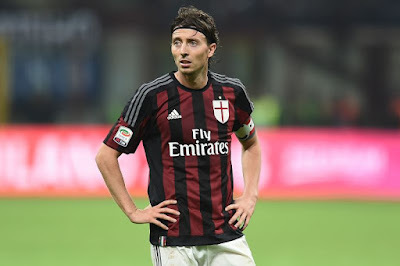 And then Montolivo played particularly poorly the first two matches, too. But with the injury and suspension situation, do not be looking for any reprieve from that pain. In fact, it is reported that Montella tested a formation in training on Thursday with Bonaventura in the attacking trident, with Pasalic and Sosa alongside Montolivo (instead of replacing him.) If Bacca returns and is deemed fit, and with Pasalic and Sosa both being new, that was likely more experimental than not. But the point is that we will likely see Montolivo start yet again, having been well-rested by Ventura on national team duty. There is one thing that could serve as a positive, and that is the news of the remaining deposit funds arriving this week from the Sino-Europe group towards the purchase of the club. That could serve as a distraction or a positive for the players, but for fans, it was certainly a positive. So I think we’re all hoping that the guys can pull off a result in spite of all of the coming changes. Will the comeback kids come back to haunt us Sunday? There is no such thing as an easy game, but there is no need for Milan to make it more difficult, either. Between the disciplinary issues and suspensions, as well as some injury woes, this match could certainly be less difficult. But I for one am hopeful that the San Siro will be filled a bit more now that there is more concrete evidence of changes coming. Ideally, we’ll manage the positive result, but even more ideally, we’ll finish on eleven men and with no more new injuries. Udinese may have rolled over for Roma, but they’ve got fresh legs and a lot of fight, so anything is possible Sunday evening. Certainly anything is possible for Udinese, as Milan love doing things the hard way.